You must be a current member to attend Tabu. This means your membership must be current, if you have let your membership lapse on your first visit back it will renew that day. Any membership dues will be collected during your visit after it has expired. Please check our Events Page for party visit package fees. For the specific Break Down on Package options please see the details at the club. Options include Dancing, Cold Bar Storage, Play kits are all some of your options. *Annual Membership Dues listed above are at the cash discounts rates. If Paid by Credit or Debit $79 1 Year / $58 6 months / $42 3 Months / Or $26 1 Month. Nightly Visit Package Fees are seperate from your Required Membership Fee, also required to attend and depend on the night and EVENT. Visit Package options are listed below. *Normal "Weekend Visit Package Fees" available at the door Fridays ONLY most weekends. Some Weekends slightly Higher due to Blackout Parties or special events. Cash (ATM on Site once Inside the Club) We do give a discount for cash. Debit Cards Accepted Please let us know Prior to process you want to use as an ATM instead of Credit card. Tabu Post our Maryland Tax ID number and Sales and Use License as required. Our Occupancy permits and Fire Department inspections are clearly posted. Tabu Lifestyle Club is a Private Membership club catering to mature adults 21 and over. The memberships are granted to Couples and Single Females. All couple memberships belong to the FEMALE member of the couple as well as the card, and should be maintained by her. We do NOT have an interview process for joining the club. 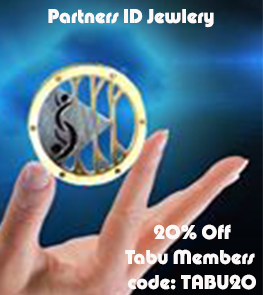 You will be required to show proof of identification, as well as sign a membership agreement to join Tabu. Tabu Lifestyle Club is a Private Membership club catering to mature adults 21 and over. You MUST be a Member to enter Tabu Lifestyle Club. We are BYOB so bring your own alcohol, wine or beer. ALL setups, sodas, juices are free of charge. In order to ensure the privacy of our members, Tabu Lifestyle Club does not allow cameras or recording equipment of any kind in the club. Any such devices will be confiscated and appropriate action taken including but not limited to immediate and permanent revocation of your membership without refund. NO drugs of any kind will be tolerated. NO Pay for play of any kind, No attempting to Prostitute or Solicite another member for any reason what so ever, PERIOD. Anyone found attempting to use the club as a "House of Prostitution" will be immediately removed from the club and permanently banned from membership. Anyone found attempting to do any form of these items or found to have committed them will be immediately removed, banned from membership and the authorities will be notified. Tabu strongly supports the states laws and will again help provide information to authorities if so warranted. THESE are ZERO Tolerance items for us at Tabu. Hi, we're Vicki and Rick and back in 2004 we opened Tabu on a twist of fate. Since then, we've poured sweat, hard work, and a lot of love into revitalizing Tabu into its current nightclub style, as well as moving it to its current location! We firmly believe the lifestyle is about choices and great experiences. Our goal is to provide an upscale, and more attractive, alternative to the normal club scene for members of the lifestyle. The Tabu Experience is unlike any other you've ever experienced!! Our club, its members, and the upscale atmosphere will have you begging for more of the Tabu Experience and for more of the Tabu Lifestyle! We sincerely hope you choose to make Tabu your favorite club!